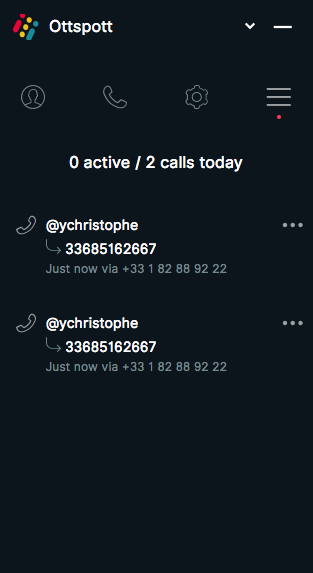 Once you have installed the Ottspott desktop Chrome app, you can start calling. 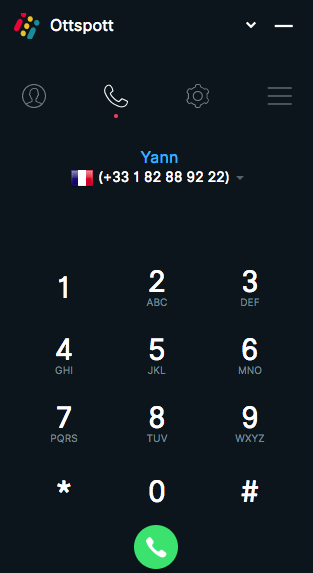 If you have more than one number in your team you can choose the caller ID you will be using. The Call Feed section allows you to collaborate on calls using a chatbox that will push you call comments inside Slack.